Edward Albee, Tom Stoppard, Noel Coward and Anton Chekov are a just a few of the world’s best-known playwrights featured in the Northern Illinois University School of Theatre and Dance’s upcoming 2015-2016 Mainstage and Studio Series season schedules. 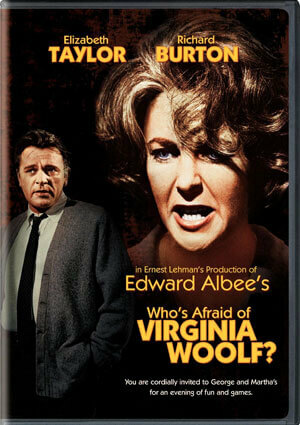 The Mainstage Series begins Thursday, Sept. 24, with “Who’s Afraid of Virginia Woolf?” Albee’s hilarious yet disturbing play is the basis of the undisputed cult classic and Academy Award-winning movie of the same name. A masterpiece of complex character-building, the story unfolds as two couples meet for an after-party drink which slowly progresses from mild sarcastic social banter to soul-baring assessments of the lies and unmet expectations of their marriages and interpersonal relationships. Opening Thursday, Oct. 22, “Three Sisters” is considered one of Anton Chekov’s master works and is regularly performed in repertory by theater companies across the globe. Chekhov conveys the wasting away of the upper class in an environment where it no longer belongs, but with an incomparable ability to subtly demonstrate the psychic and spiritual costs of doing nothing to save it. 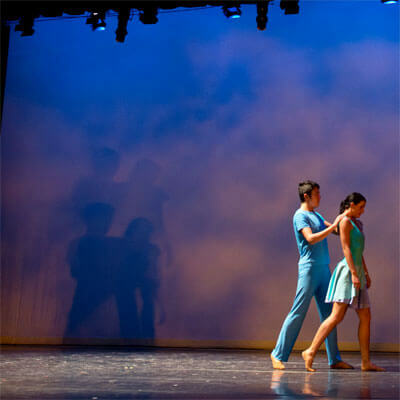 Beginning Thursday, Nov. 19, Fall 2015 Dance Concert will feature the restaging of “Esmeralda Ballet” and a remount of “Spent Days Out Yonder,” choreographed by the Bill T. Jones/Arnie Zane Dance Company and preformed last season at NIU and at the Ruth Page Center for the Arts in Chicago. The production will also include a contemporary ballet and two additional modern works. “The Real Thing” opens Thursday, Feb. 4. A true play-within-a-play structure, “The Real Thing” is Tom Stoppard’s comedic but heart-felt portrait of a playwright who finds himself subjected to the same emotional ravages he puts his characters through. Opening Thursday, Feb. 25, an updated version of Aphra Behn’s Restoration comedy, “The Lucky Chance,” is the story of three women forced into arranged marriages with men who are entirely inappropriate for them and how they manage to manipulate all the right people in order to marry the paramours they really wanted in the first place. Coward’s “Blithe Spirit” opens Thursday, April 7. Cranky socialite and novelist Charles Condomine invites the clairvoyant, Madame Arcati, to his house to conduct a séance, hoping to gather material for his next book. He gets much more than he bargained for when the ‘happy medium” somehow manages to conjure a reconnection to his long-dead ex-wife, Elvira, who doesn’t go away when the séance ends. The season’s final production, the Spring 2016 Dance Concert, opens Thursday, April 28, with an entire ballet program in all its forms, from classical to contemporary, and will emphasize ballet’s ability to tell a story. Although scheduled for completion in late spring, renovation of the School of Theatre and Dance’s home base – the Stevens Building and its three theaters – continues. All Mainstage Series shows are still being performed for the upcoming season at Huntley Middle School, 1515 S. Fourth St. on DeKalb’s south side. Studio Series shows will be performed in the Holmes Student Center Diversions Lounge, at the center of the NIU main campus in DeKalb. All shows are 7:30 p.m. weekdays and Saturdays and 2 p.m. Sundays and second Saturdays (Mainstage Series) and 2 p.m. Saturdays for all Studio Series productions. Subscription packages to both the seven-show 2014-2015 Mainstage Series and the six-show Studio Series, a 2015-2015 season brochure and additional performance details are all available by contacting the School of Theatre and Dance Box Office at (815) 753-1600 or sotdboxoffice@niu.edu.